Ah, FASFA. There are so many good things about you, like when money for our meal plans finally come through. There are also so, so many things wrong with you, including that time someone on your team sent out a pretty outrageous tweet. 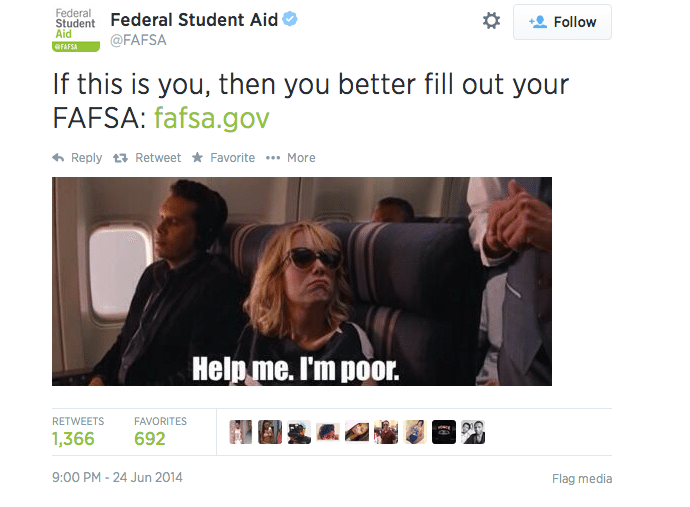 That’s right, on Tuesday, FASFA tweeted out a famous meme of Kristen Wiig from “Bridesmaids.” You know, that one from the airplane scene, where Wiig’s character drunkly asked the flight attendant to help her because she’s poor. Totally hilarious scene, right? Yeah, it’s not so great to reference when you’re the Federal College of Frickin’ Financial Aid. FASFA quickly deleted the Tweet and sent an apology saying “We apologize for the insensitivity of our previous tweet. Our goal is to make college a reality for all. We’re very sorry.” As it should be. We’re not about to go all cray on FASFA because it’s definitely a great way to help pay for college, and should be taken advantage of by all, but let’s face it, it’s main goal is to help people, not make fun of them and then help them. Here’s our advice to whoever controls FASFA’s Twitter account: give useful information, answer questions from users, and please, stop using memes. 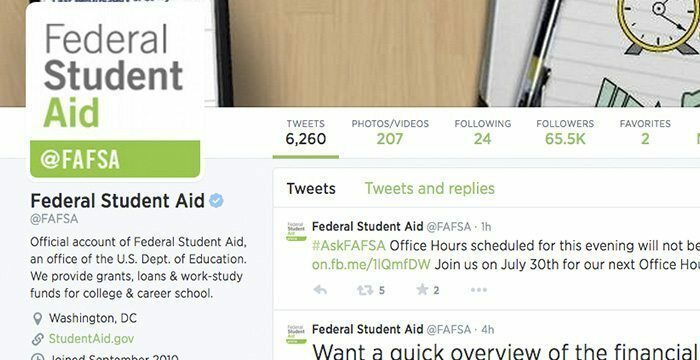 Do you think this FASFA tweet was offensive? 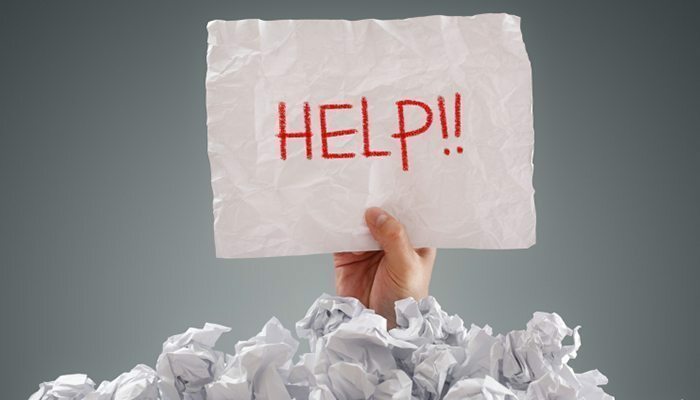 Need Help With FASFA? Text It!